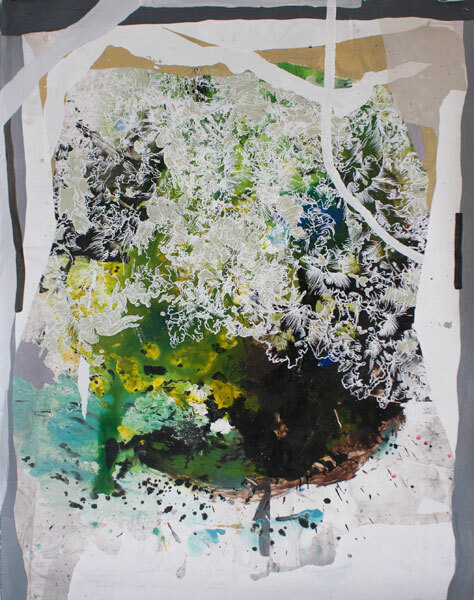 Katherine Tzu-Lan Mann, Untitled, 2014, acrylic, sumi ink and silkscreen on paper, 56 x 71 cm. Courtesy the artist and Kashya Hildebrand, London. This is the artist’s first solo show in London and features her mixed-media paintings which can, on occasion, take over a whole wall of the gallery. The exhibition’s title comes from the fact that she repeats some of the smaller elements. There is a baroque flavour to her work as in the decorative forms and shapes that build up each painting there is a hint of excess and exuberance. 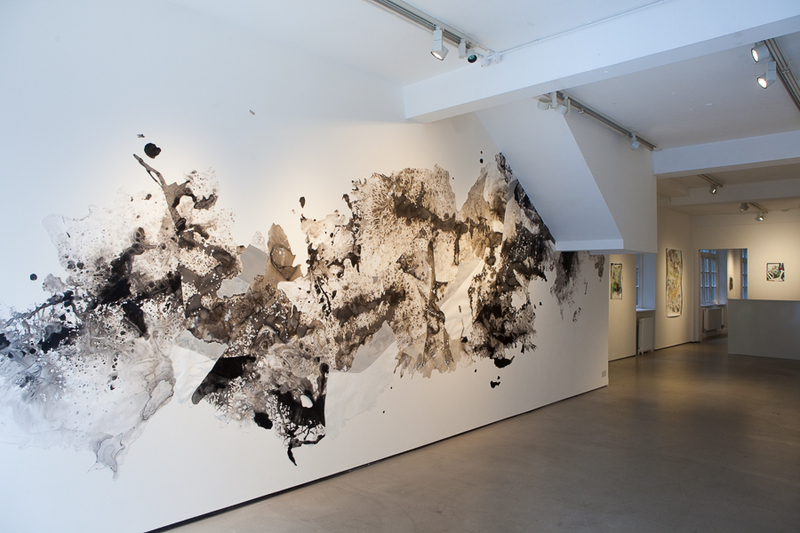 Installation view of ‘Multitude’. In foreground: Trellises, 2014, acrylic and sumo ink on cut paper, wall installation/dimensions variable. Richard Pigott, Ephemeral Realities and Temporal Landscapes 5, 2014, photograph, edition of 15, 56.8 x 83.4 cm. Richard Pigott, Ephemeral Realities and Temporal Landscapes 1, 2014, photograph, edition of 15, 56.8 x 83.4 cm. 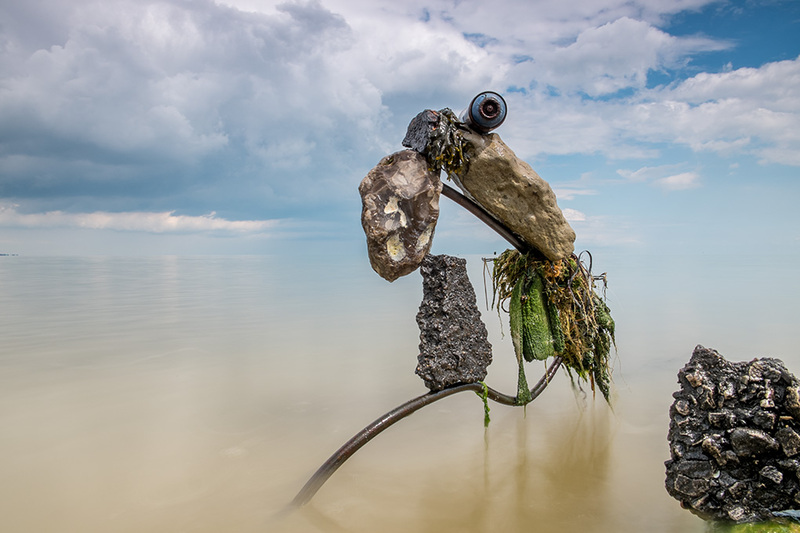 It is apparent on first sight that the artist is also a sculptor for these photographs are filled with creations of metal, concrete and other detritus as well as natural things such as seaweed and flint. 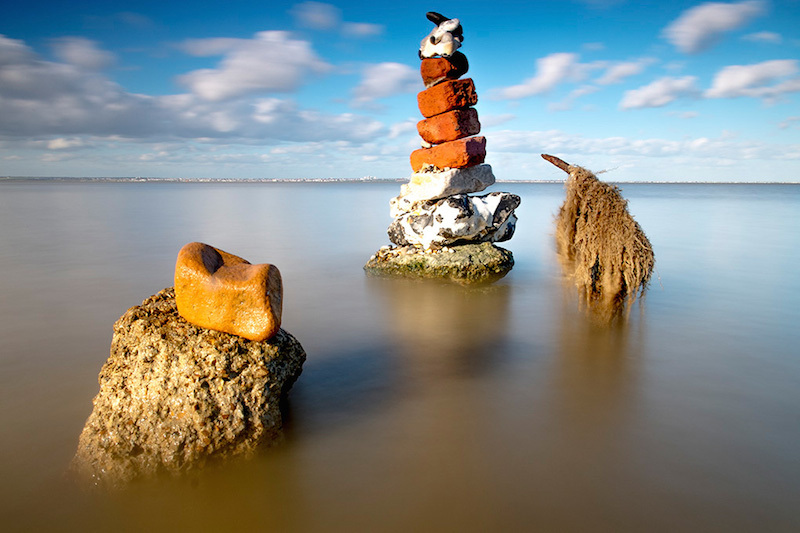 The images are taken in the Thames Estuary near the Isle of Grain and their temporary nature reflect the artist’s concerns with our consumption-oriented society and its resulting relationship with nature. However beautiful these sculptures appear there is a definite sense of the finite in that they will fall apart, be eroded by the waves. Pigott only believes his works to be ‘complete’ when this process starts. This entry was posted in Contemporary Art, Fine Art, Photography, Visual Arts and tagged contemporary art, Fine art, Photography, Visual Arts.